When I do my own food / grocery shopping, I usually go to the local Sainsburys supermarket. For years I went to ASDA or Aldi, but there is no ASDA and no Aldi near here. Nor is there a Lidl, an Iceland, or a Farmfoods. When I first moved to London I lived a five minute walk from an enormous 24-hour Tesco Supermarket. But there is no Tesco near here. So instead I now shop for myself at Sainsburys. 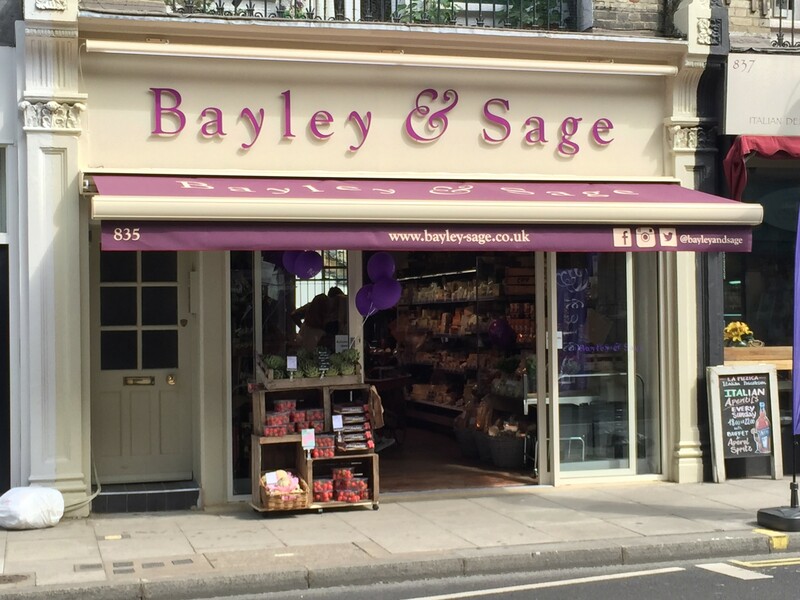 The nearest supermarket to my little abode, at only two minutes walk away, is an organic supermarket named Balyley & Sage, but everything there costs a fortune…I went shopping there once, just after I moved here, and nearly started choking with the shock when the cashier told me the price of the small basket of items I had collected. So I don’t go there unless I want to buy a treat for Goldfinch or to buy sandfire (it’s the only shop near here where I can buy it). When Goldfinch is coming I switch to shopping at Waitrose…because in my head, (if not reality) I think I will find better produce. But it also costs more. I just like to feel I am giving the best to Goldfinch. 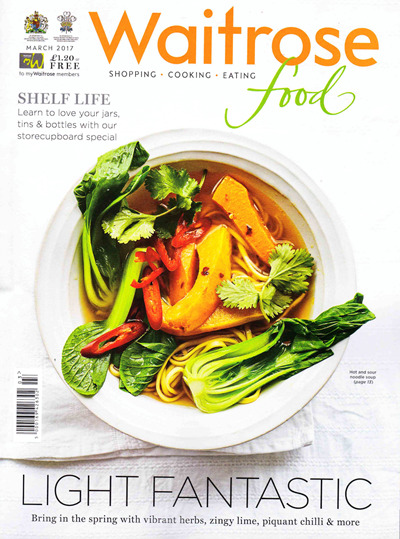 One of the things I love about shopping at Waitrose is the chance to collect a free Waitrose magazine (along with my free coffee). The Waitrose magazine has some fantastic recipes. I have always been a big fan of supermarket magazine recipes. I like them because they normally don’t have a ridiculous amount of ingredients and you don’t have to have been a contestant on Masterchef to be able to follow their recipes. I like to bake…and I especially like to bake for Goldfinch. This weekend I made a traditional favourite savoury dish which I have made many times before. But for pudding I thought I would turn my hand to trying a couple of recipes from last month’s Waitrose magazine. First of all I made the toffee-apple ice-cream…which involved making caramel – a messy job but somebody has to do it! It has ripples of caramel soft golden apples, crumbly biscuit bites and creamy vanilla ice-cream…oooh la la! Then I made the upside down. maple, walnut and apple cake, which was warm and ooooozing with caramel. It is a pleasure cooking and baking for my Goldfinch. But I spend twice as much money on my food shopping when I know he is coming to visit. I am spending a fortune on feeding my gorgeous Goldfinch. But I love it. I love him you see. I love any chance I have to give something to him that shows him how I feel and how happy he makes me. Oooh can I have those recipes please?! Of course…if you would really like them, I will send the links to you! I still have half a cake in the fridge and loads of ice-cream. (I used a dairy free vanilla ice-cream because I am not great with dairy). As soon as we took the cake out of the oven we started devouring it with the ice-cream on the side. Perfect after a long walk in the woods. Oh goodness yes! I love pumpkin spiced cakes and ice cream but everything else from candles to cat food gives me the screaming abdabs! It was yummy….I am definitely going to make it again this autumn. Looks delicious!! What did your Goldfinch said?